Having worked in the Kalispell, Montana area for so long, we’ve established the connections and gained the experience necessary to work on any kind of project our region has to offer. Sometimes you can’t wait to set up an appointment. If there’s a busted pipe, a clogged sink, or any other emergency that requires immediate service, EK Plumbing will be there to fix it, no matter what time of day it is. We offer 24-hour plumbing service work. Over the years, we realized that plumbing problems rarely choose a good time to occur. Whether your sink is overflowing at the crack of dawn or your bathtub has stopped draining at 7 p.m., EK Plumbing has a service technician on call to make sure we get a trained professional out to your house (or commercial building) to fix the problem with urgency and efficiency. Our mission statement is simple: our growth-oriented team delivers clean, efficient and innovative plumbing solutions, on time, for your home and business, allowing peace of mind to our customers now and in the future. 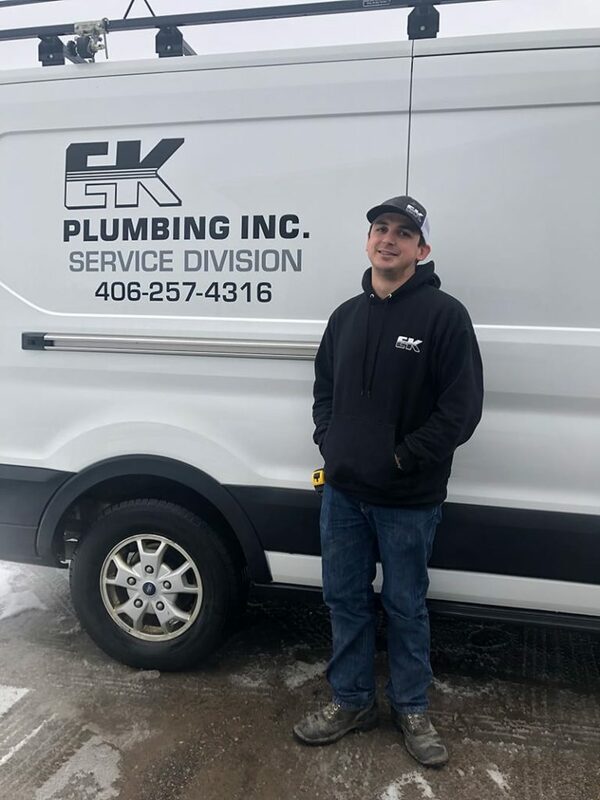 The indicator of a good plumbing job is how long you must wait until the next one, and our clients can rest assured that EK Plumbing staffers are trained to not only solve the issues at hand but also prevent further ones from developing in the future.